STEVENSON, Robert Louis. 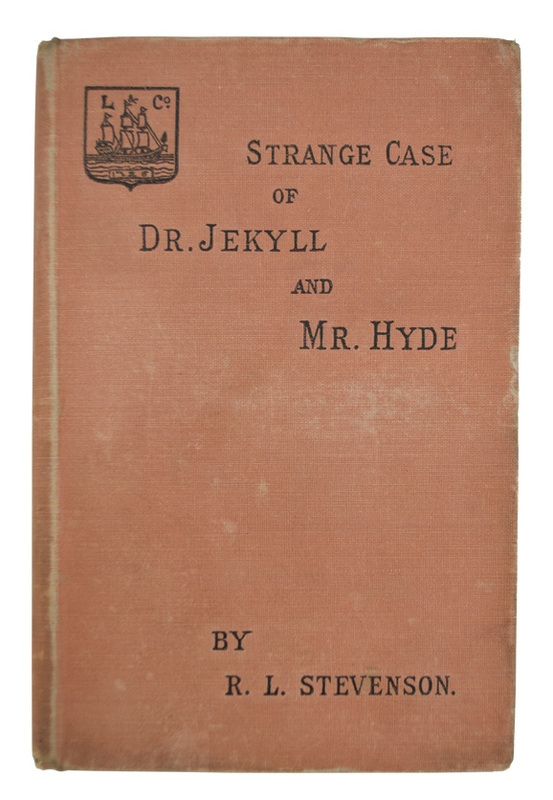 Strange Case of Dr. Jekyll and Mr. Hyde. London: Longmans, Green, and Co. , 1886. First English edition. Octavo (7 x 4 5/8 inches; 179 x 118 mm). , 141, [1, blank], [1, ads], [1, blank] pp. 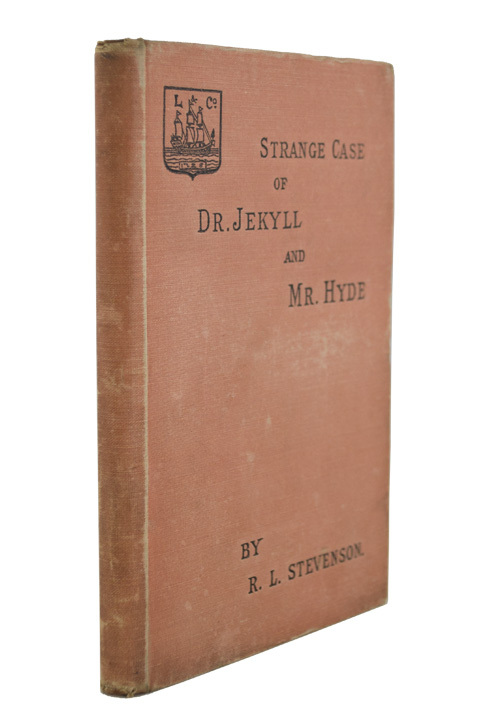 Original salmon-colored cloth lettered in black on front cover with publisher's device in the upper left corner. Decorative endpapers. Spine slightly sunned and rubbed, some rubbing to extremities. Light soiling to rear panel. Two bookplates on front pastedown, including that of book collector Beverly Chew. Overall an attractive, very good copy. Published on January 9, 1886, four days after the American edition (which was published by Charles Scribner’s Sons on January 5). “It had been intended to publish this book in December, 1885. But, according to Mr. Charles Longman in Balfour’s Life, when it was ready the bookstalls were already full of Christmas numbers, etc., and the trade would not look at it” (Beinecke). The story of how Stevenson came to write this classic tale is by now well known: He was one night in the middle of a nightmare when Fanny, alarmed by his disturbance, woke him. Louis complained with irritation that she had interrupted a ‘fine bogy tale.’ Seizing his pen the following day he began to write down the story he had dreamed. Initially it was the Gothic horror of the story that excited him, and he produced a first draft at great speed, reading the story triumphantly to Fanny when he finished. But Fanny wasn’t happy with the story. She felt that it could be more than a Poe-like crawler, that it could be more morally pointed than Louis had fashioned it. Certainly in this case it can only be said that her comments did the story and Louis considerable good. 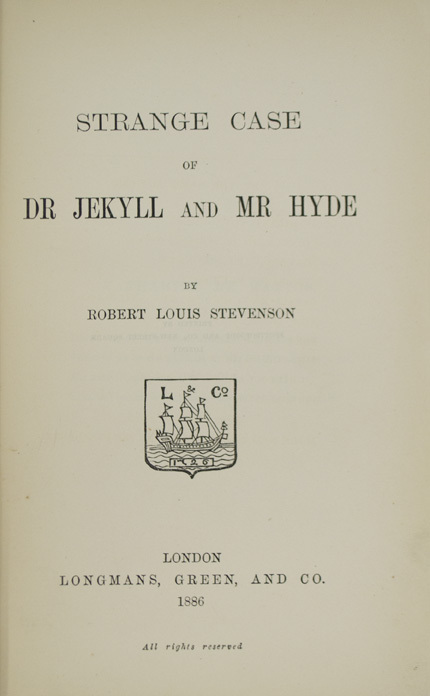 Angrily the first draft was cast into the fire and he started again, this time producing the version of The Strange Case of Dr Jekyll and Mr Hyde that we know (Calder).